Rigo's Mexican Food, at the northeast corner of Mayflower and Foothill, will be moving across the street to the building now occupied by Shaffer Awards, according to a flyer forwarded to me by "greeneggsandsam." 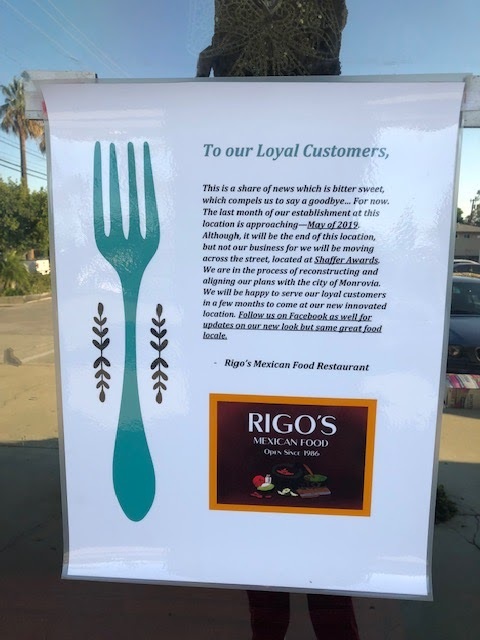 Rigo's last month at its current location will be May. Then it hopes to reopen at its new location in "a few months." Thanks GE&S!